We're delighted to share the first in a series of new case studies. This summer, we've been interviewing successful SilverWood authors and finding out more about their publishing journeys. Today we talk to Pam Gregory, bestselling author of You Don’t Really Believe in Astrology, Do You? and How to Co-Create Using the Secret Language of the Universe and learn how re-launching one book and publishing a second has helped to bring about an increase in clients for her business. Pam Gregory discovered her love of astrology at a yoga class in Toronto where she met an astrologer and was curious to find out more. She furthered her astrological learning alongside her corporate career, studying at the Faculty of Astrological Studies in London. Achieving highest honours in her Master’s course led her to develop her full-time client practice from her home in the New Forest. She wrote her first book, You Don’t Really Believe in Astrology, Do You?, in 2013 which led to her desire for more readers to understand the power of their astrological birth charts. 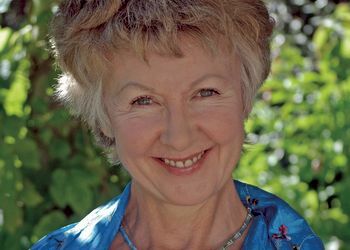 Her second book, How to Co-Create Using the Secret Language of the Universe, was published in September 2017 by SilverWood. It became a bestseller from day one in the Mind Body Spirit category, yielding fresh sales of her first book and an upswing in enquiries for personalised birth charts. To release the second edition of You Don’t Really Believe in Astrology, Do You? Pam wrote a further 10,000 words to add a chapter looking at the lunar and solar changes from 2017-2020. The first edition was published by a London-based hybrid publishing company. Her publisher’s physical location had little impact, as Pam travels frequently and collaborates online and by phone with clients. However, their American ownership caused Pam challenges to navigate both tax systems for receiving her book royalties. From the start, SilverWood were extremely efficient in returning information to Pam, guiding her on the next steps to publish her books. With the second book, Pam initially felt unsure about the content because it was so different to her planned sequel, which was to explore the concept of quantum reality in more depth. SilverWood’s proofreader gave Pam brilliant support and confidence through the technical editing process because her knowledge was well grounded in philosophy and spirituality. They worked quickly and were able to deliver the book in time for launch on 5 September, the date Pam wanted for its astrological significance. If you’re about to start your publishing journey, get in touch with us. SilverWood can help you create a professional quality book and will support you every step of the way.